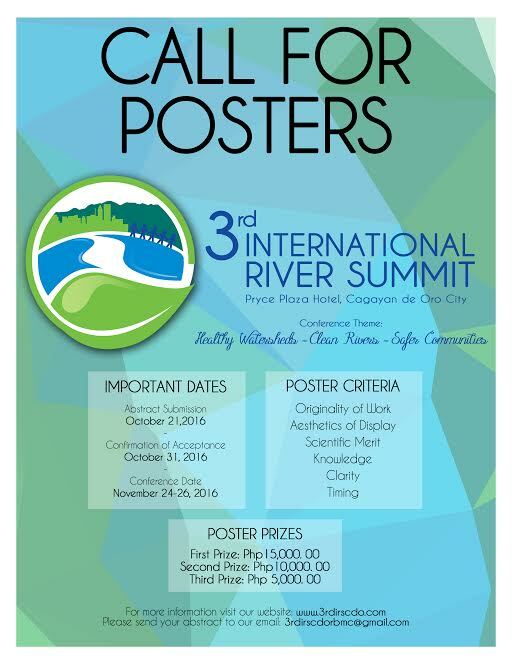 The Summit enjoins the most important river stakeholders- the global, national, and local authorities, policy experts, river managers from public and private sectors, the academe, leaders in clean water technology, advocates and students – in facing the development challenges of our world's rivers today. The Summit is designed to foster information and knowledge exchanges on the latest technology and approaches on river basin governance from the different participating countries. Through highly interactive plenary discussions and breakout sessions, it seeks to discuss issues and concerns on river basin governance, share innovative solutions, and synergize strategies to pursue river management issues and concerns. Thematic sessions include river ecosystem management, ecotourism, biodiversity, climate change, disaster risk reduction management, among others. In line with this, I respectfully invite you and the entire membership of the Keidanren Committee on Nature Conservation to attend this environmental undertaking. We also request to your office to disseminate this information to other stakeholders who may be interested in river conservation. We hope that the interest of your committee is aligned with our activities in the summit. We are very much willing to answer your queries regarding this summit. We strongly recommend that your office must pre-register online on our official website www.3rdirscdom.com due to limited seats available. The Conference Program is also updated regularly in the website. The registration will be Php 4,500 per head and can be paid online via PayPal or in the Summit proper upon registration. The registration fee will include access to both the plenary and breakout sessions, access to the River Exhibition area, conference kit, official summit T-shirt, snacks and lunch for the duration of the summit and courtesy booth upon arrival at Laguindingan Airport. This will also include invitation to the Mayor's Night on November 24, complimentary transfers from accredited hotels to the summit venue and invitation to the 3 Pre-events on November 23, 2016 (details of which will be published in the official website). Transportation to and from the Airport and accommodation are excluded in the registration fee. For more information, your office may contact the 3rd IRS Secretariat through Ms. Angeline Edyesca at (+63) 977-819.49.18 and email at 3rdirscdorbmc@gmail.com.